Empties time! 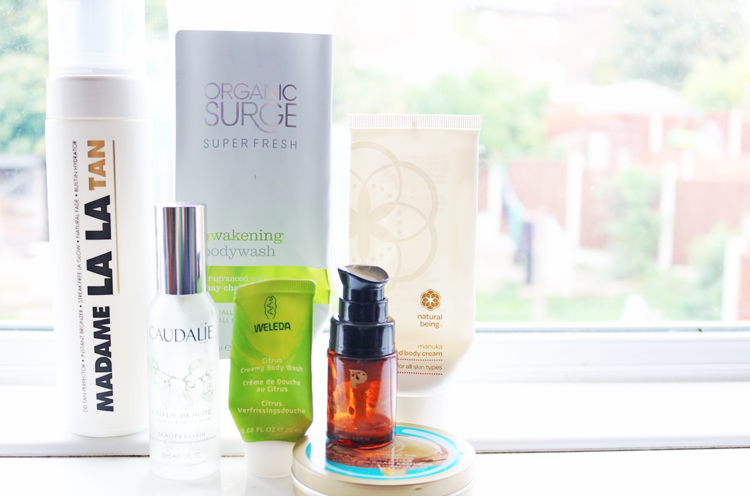 These are all the products that I've managed to finish off recently and my thoughts about whether I would repurchase them again or not. Madame La La are one of those surprisingly good brands that have popped up in the last few years, and they've managed to quickly establish themselves in a very competitive market. I'd rank this in my top five favourite self-tan mousses as it's easy to use, didn't give me streaks, faded evenly and gave me a really natural looking tan. Well worth a try! Repurchase? If you read yesterday's post here, you'll have seen that I currently already have some other self-tanners on the go, but I would definitely pick this up again in the near future. I've gone through a couple of tubes of this in the past as it's one of my favourite uplifting shower gels, plus it's reasonably priced and often on offer too. Smells summery and citrusy, and definitely lives up to its awakening title! 99% natural and SLS free. Repurchase? Will do once I've used up my current bodywashes. Really lovely multi-purpose moisturiser that sinks in without feeling greasy or sticky afterwards. Smells clean and fresh, and it does an excellent job of keeping my dry skin soft and hydrated. Repurchase? Yes - there's a tiny bit left in this tube that I'm going to cut into first though (it's that good!). Remember when everyone was obsessed with this?! I've gone through my fair share over the years, but nowadays I tend to only buy it to use in the summer months as it helps to keep my oily skin in check. I still love the fragrance and it always helps to refresh and revitalise my mind when I'm feeling tired or stressed. Repurchase? Will do next summer. Can you tell that I like citrusy things? This is another favourite and yes, it smells wonderfully zesty and uplifting. 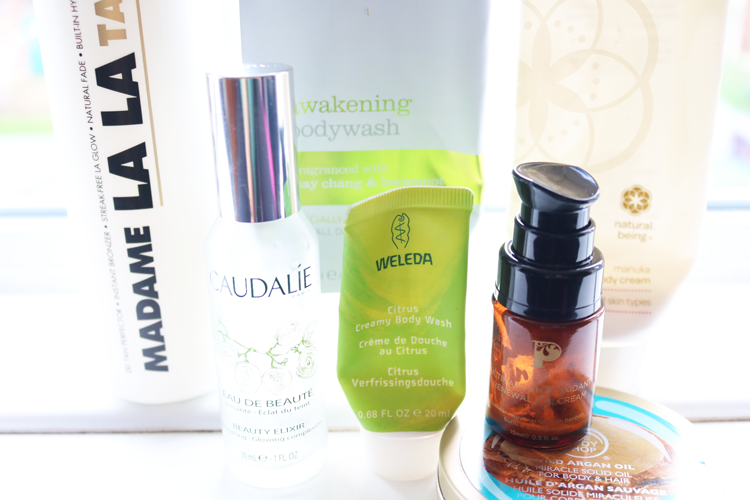 I love the formula of Weleda's creamy body washes and always return them time and time again when my skin is feeling particularly dry and in need of some TLC. Repurchase? Yes. I featured this in my Top Beauty Products of 2015 and I've finally just finished it! Lasted months and is one of the few eye creams that I've tried where I've actually seen a difference. A little goes a long way of this hydrating organic formula, and it's perfect for anyone who has sensitive eyes. Repurchase? Yes. Another product that has taken many months to use up is this tin of multi-purpose goodness from The Body Shop. Not only does their Wild Argan range smell incredible, but this thick solid oil is great for massaging into any dry bits like cuticles, elbows, feet etc. Repurchase? I seem to have acquired a couple of these from various beauty boxes so those should keep me going for a while! I just got the Caudalie Beauty Elixir for the same purpose (it's spring now in the southern hemisphere! ), and I'm definitely looking into trying that Pinks Boutique eye cream!